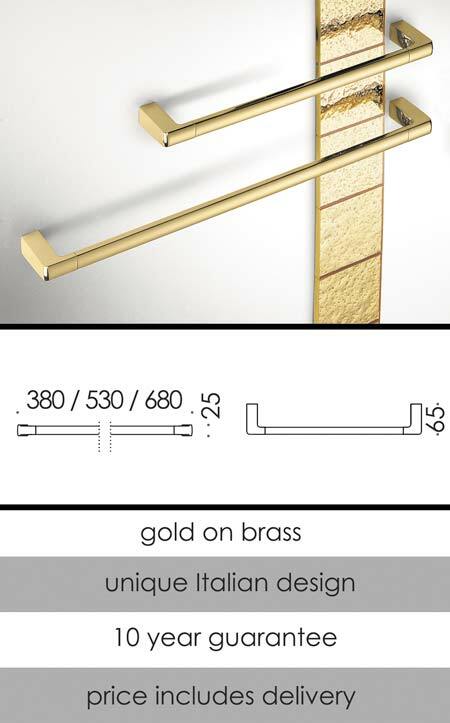 A gold plated towel holder designed in Italy in the latest contemporary bathroom style. In a luxury quality, this towel hanging bar is available in 3 rail lengths to suit individual requirements. Part of a full gold bathroom accessory collection.